In this fascinating and impeccably argued book, Aaron W. Hughes engages a theme relevant to the contemporary study of religion. At stake, for him, are the fundamental theoretical and methodological dimensions that reside at the heart of the field. The project of understanding something on its own terms has rightly received much critical attention over the past twenty years—inasmuch as it erases observers and the criteria by which they chose which participant interests to represent and thereby authorize—but there are still pockets within the field that resist a full historicization. 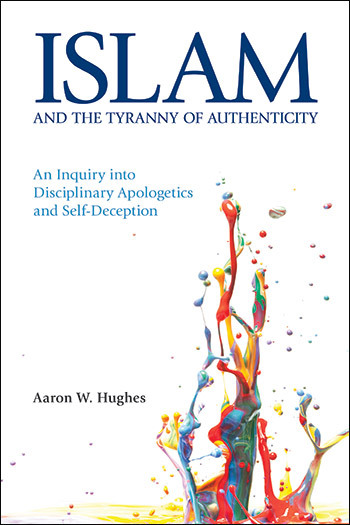 Aaron Hughes’s Islam and the Tyranny of Authenticity is but the most recent of his ongoing efforts to invite scholars of Islam to see their object of study as no more or less human than any other, suggesting that their methods should not only be comparable to those found in other sub-specialties but also that their field can be the beneficiary of advances that have taken place elsewhere. From his example of 'Islamic religious studies,' Aaron Hughes argues that the study of religion in secular universities is characterized more by political correctness, crypto-theologizing, and normative pronouncements than it is by a theorized, critical, and historical scholarship that is of relevance to - or even recognizable by - colleagues from other university disciplines. A must read for all religious studies scholars. Offers an eye-opening account of how the study of Islam in North American departments of religious studies is becoming more and more an exercise in liberal Muslim apologetics. Hughes responds by laying out a compelling alternative vision, in which practitioners of the academic study of Islam act as critical analysts of "religious" discourses rather than simply as advocates for their own preferred version of Islam. This timely intervention cuts to the heart of the question of the legitimacy and relevance of the study of religion in the modern academy, and Hughes's forceful statement should begin a vigorous and useful conversation. Aaron Hughes' Islam and the Tyranny of Authenticity is a beautifully crafted and concise critique of Said's Orientalism thesis and its effects upon contemporary study of Islam. Hughes takes a number of prominent scholars of Islam, analyzes their work and demonstrates the biases that have been created in attempts to pander to identity politics through scholarship. Unexpectedly, he beards Said in his den by proposing Jacob Neusner's methodologies in the study of Judaism as a way forward for Islamic studies--a delightfully creative solution bringing back the importance the shared heritage of Jewish and Islamic studies once had.